The United States shares a similar urban revitalization strategy with the United Kingdom and France, so studying their successes and challenges can offer lessons for housing policy in America. Last month, the Urban Institute cosponsored a conference with the Centre d’analyse stratégique, the French government’s research arm that studies urban problems. The conference highlighted the shared challenges that the United States and Western European countries face around aging cities with blighted neighborhoods of concentrated poverty and disadvantage. Like the United States, for the past decade, policies in the United Kingdom and France have emphasized demolishing distressed social (subsidized) housing and replacing it with new housing intended to attract higher-income residents, often coupling the revitalization effort with supportive services for residents. The status of the urban revitalization efforts in all three countries reflects changes in the economy and in government ideology. Under the Labor government in place before the Great Recession, the United Kingdom invested heavily in housing regeneration in low-income communities, but now the programs have been so drastically curtailed that the panelists at the conference said the current government has virtually no housing policy. In the United States, with our divided government and modestly growing economy, the situation is not quite as dire. The U.S. Department of Housing and Urban Development has replaced the HOPE VI program targeted at distressed public housing with the Choice Neighborhoods Initiative, which is more ambitious in its aims, seeking to spur revitalization of whole neighborhoods. But Choice is funded at a much lower level than HOPE VI was 10 years ago, and only a handful of sites have federal implementation grants. In contrast, France’s socialist government intends to make urban regeneration a priority, despite the ongoing economic crisis. 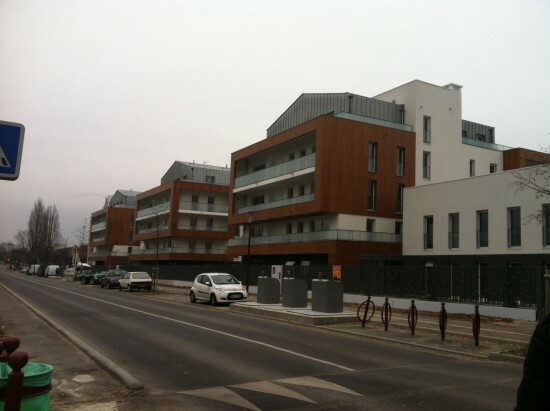 A key difference with subsidized housing in France, as opposed to the United States and United Kingdom, is that it isn’t located in the central city. 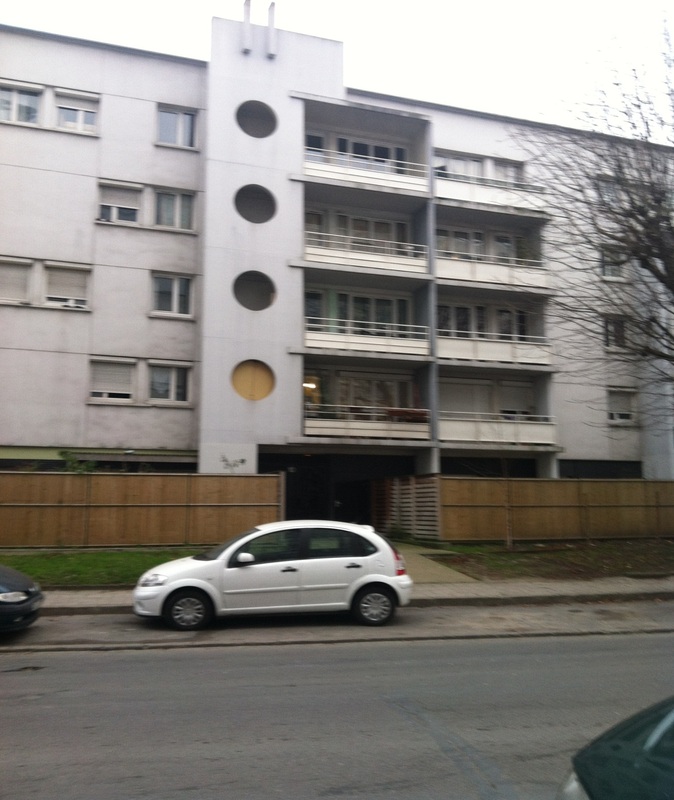 Instead, French social housing is concentrated in the banlieu, the suburban ring surrounding Paris and other major French cities. As part of the conference, participants toured Bondy, a town of approximately 50,000 households, half of which is social housing that the city is revitalizing (see below). According to our guide, the French government provides ample funding for the physical renewal, but less support for the kinds of supports—such as literacy programs for adults—that would make the city successful. Unlike Paris, Bondy and other suburban ring towns are populated almost entirely by immigrants from Africa, Asia, and Eastern Europe. French law forbids collecting data on race or ethnicity, so there are no firm statistics on segregation or even any serious policy discussion of the issue. But the magnitude of the segregation is readily evident once you leave Paris: on the 45-minute tram ride back from Bondy to Paris, almost all the passengers were immigrants. When we got on the Métro, within Paris, the situation was reversed—almost all the riders were white. Our guide, the Bondy city manager, said that to be successful, towns like Bondy desperately need services like literacy programs for adults illiterate in both their own language and in French and, especially, school curricula that could be tailored to meet the needs of immigrant children. But because the French government is centralized, the local authority has no power to shape programs or schools to its needs. As a result, our guide told us, Bondy has the second worst-performing elementary school in France. The takeaway for me was that, as in the United States, the French will not be able to make much progress in addressing the problems of poverty and chronic disadvantage until the government—and the public—are willing to tackle the issue of race.